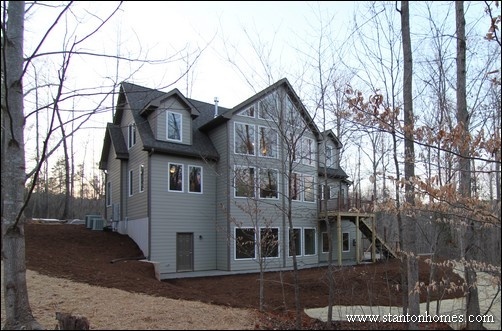 What is the Process to Buy a Lot for New Home Construction in NC? 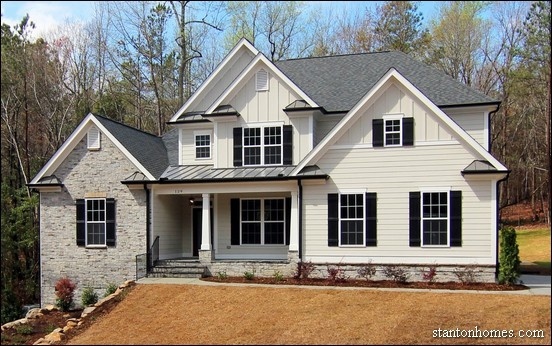 Get the inside scoop on how to build on your lot in NC - with tips from custom home builder Stanton Homes. We'll give you some very important questions to ask your Realtor, Custom Home Builder, and, most importantly, YOURSELF! Building a new custom home can be easier than you think. There are beautiful homesites - or "lots" available in new home neighborhoods and outside communities throughout the greater Raleigh Triangle area. Here's how to get started. Question 1: How much should I pay for a Lot? How much should I pay for a lot for my new Raleigh custom home? Yes, the price you pay has a lot to do with location – but size, amenities and buildability are also important considerations. Custom home builders in Raleigh can offer guidance, but it’s really all about what’s important to you. You’re going to have to prioritize, as you make choices. The Triangle area of North Carolina - consistently ranked as the "best place to live" on national surveys - has been growing for several years. 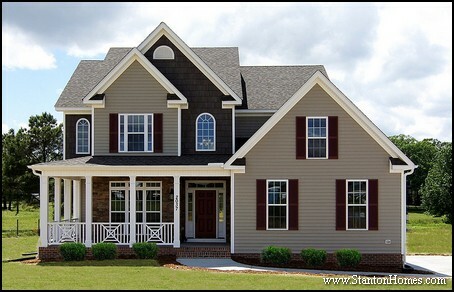 Areas such as Cary, Raleigh, Morrisville, and Apex have been hugely popular for a long time - making lots more available and affordable in the surrounding areas (just minutes away in many cases) such as Fuquay-Varina, Hillsborough, and Garner. Question 2: What's my budget, and why do On Your Lot builders need to know, up front? When building a custom home on your lot, there are really two budgets to consider. If you're looking for help finding a lot, your home builder will need to know your general budget, to help guide you to choices that match the most common requirements of, for instance, your bank loan appraiser. As a general guideline, the cost of your lot or land should be no more than 15-20% of your total "house and land" budget. The formula can change a bit for a large amount of acreage - for instance, you might reasonably construct a home with a $350,000 construction cost on a 10 acre parcel which costs $150K. Do check that your planned home corresponds with other homes in the neighborhood/area so that your future resale value is protected. Question 3: How do I know that the price of a lot or land is reasonable? 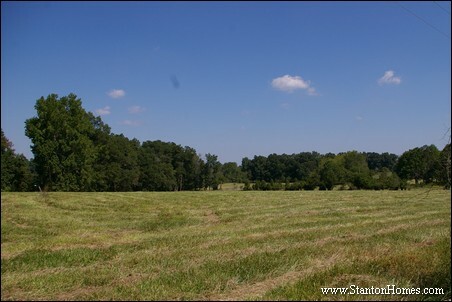 Talk to custom builders in Raleigh or an experienced land agent about the lots or land you're considering. That’s where size, amenities and buildability impact the price of the home – as well as its future value. An experienced land agent will be able to compare your lot price with other lots in the area, and compare the type of home you plan to build with other Raleigh NC custom homes available in the area. Question 4: What about Property Taxes? Depending on the specifics of your loan, property taxes may be included in your monthly payment. If it’s set up this way, a portion of the total tax bill is added to your monthly payment each month, then paid to the city or county at the end of the year out of an escrow account. Property taxes outside city limits will always be lower than taxes inside city limits. As an example, Chapel Hill has some of the area's highest property tax bills. Outside the city limits, Chatham County has some of the lowest property tax rates in the Triangle. Raleigh’s property taxes can vary, depending on location. Question 5: Why do I need to get preapproved? It is always a smart idea to have a financial institution appraise what you can afford to build. You’ll have to have a bottom line in mind before you even begin to look at lots and land upon which to build your Raleigh NC custom homes. 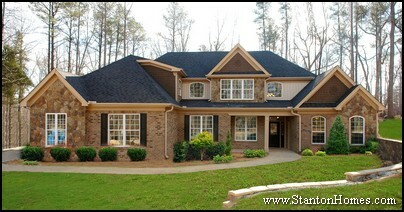 If you don’t have a lender in mind, ask a custom builder in Raleigh for recommendations. Contact us for a list of local lenders experienced with lot and land financing - there are plenty of great options available. - What monthly payment can I afford? - What total amount do I qualify for? - Will my payment be affected if interest rates increase? 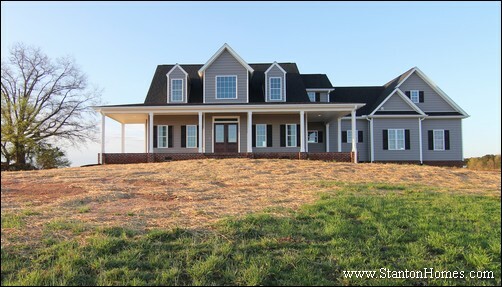 Contact Stanton Homes at 919-278-8070 or send us your questions, here, and we'll help you learn all you need to know about the On Your Lot Building Process.